When I attended the AHSA/USEF course designer clinics held at The Los Angeles Equestrian Center in the 1980’s, I was truly inspired listening to such horsemen as Olympic Course Designers Pamela Carruthers, Linda Allen, Pierre Jolicoure, and Brian Flynn. It was so interesting to learn what these professionals felt was important. Each day they would have lectures on Hunter, Jumper, and Equitation courses and all of the details and dangers involved therein. Every designer had their own set of Ideals and Rules, but they all agreed that the number one rule in course designing is safety. The other subject they discussed daily is how difficult it is to set user friendly courses for the lower level divisions! This is becoming paramount in importance now in our industry, because over-facing horses and riders can have devastating results. Using these principles when I set the jumps for any class under 2’6”, I simply think to myself: “could a green or timid horse/rider TROT this course?” I have been designing courses since 1980 and this one rule has helped me the most. The horses are simply not faced with a huge effort of jumping if the rider makes an occasional mistake in the approach. I was taught that the low level classes should be a gift to the riders, trainers, and most of all…OUR horses! All of the turns need to be wide and gradual too. When designing for BD&CT combined training test shows, wide jumps and combinations are not added until the higher divisions. I have followed this general guideline as I set fences for our MHJA shows as well. I do not add wide oxers or combinations of 1 or 2 strides until the higher level classes. The USHJA has now set the national standard for safety with their Affiliate horse shows program Outreach Medals course requirements. Course designers will need to conform to the Outreach Medal course requirements, which specify that no combinations of 24’ or 36’ will be allowed in the 2’-2’3” Bronze Medal or 2’6” Silver Medal classes. For the low level classes, it is recommended to keep the jumps farther apart so the riders can get reorganized after each jump. Use distances between the fences of 72’ or 84’ whenever possible, so that short-strided horses or ponies can simply add a stride when needed. Bending lines are also very user friendly to many different types of horses and can be ridden with an added stride if needed. 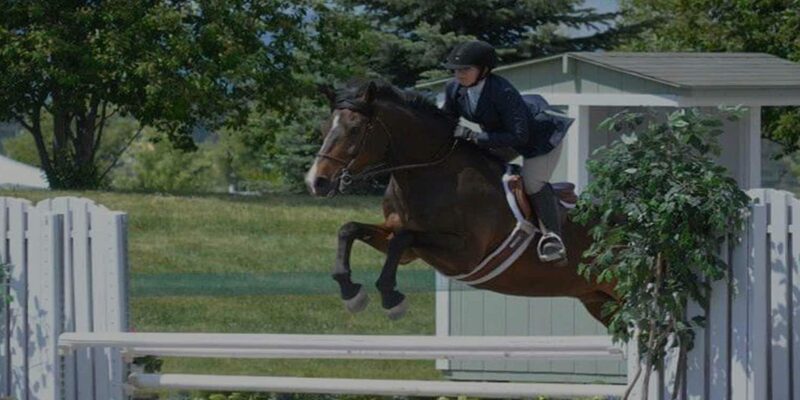 In hunter classes, the lines always begin with a vertical to an oxer; a single oxer on course can be used, but the first fence for hunters is always a vertical. In hunter classes a two-stride (36’) vertical to oxer combination is used for the higher hunter classes. 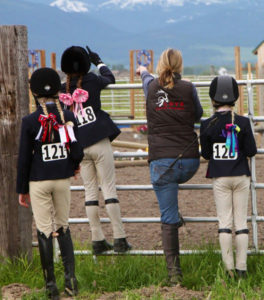 One-stride combinations (24’) are mostly used in the Jumpers and Equitation classes for the higher divisions. The USHJA Outreach Medals will be offered this year at some of our MHJA shows. Riders that are Affiliate members of the USHJA can compete in these medals and receive national points! The Medals start with 2’-2’3” courses, so there is something for everyone! 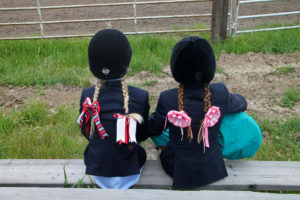 Please look up the web site www.USHJA.org for all details to the requirements to compete in these new and exciting classes. 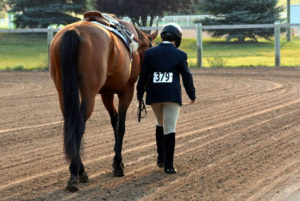 Some equitation tests will be built into the first round of the Medals, so everyone will get a chance to show off their best equitation riding. Be sure to review the USEF Equitation Tests to plan out your training and practice routines! I just watched a wonderful DVD called “Connected!” This DVD will be used at the USEF/USHJA trainers and judges clinics. I recommend that everyone get this DVD and review it often! It is very well done and shows exactly the way riders should perform the tests. This DVD can be ordered from the Pacific Coast Horse Shows Association at www.pchorseshows.org.